The first event to take place in the new urban green space Te Papa o Ngā Manu Porotakataka was held on Saturday night in superb summer weather conditions. 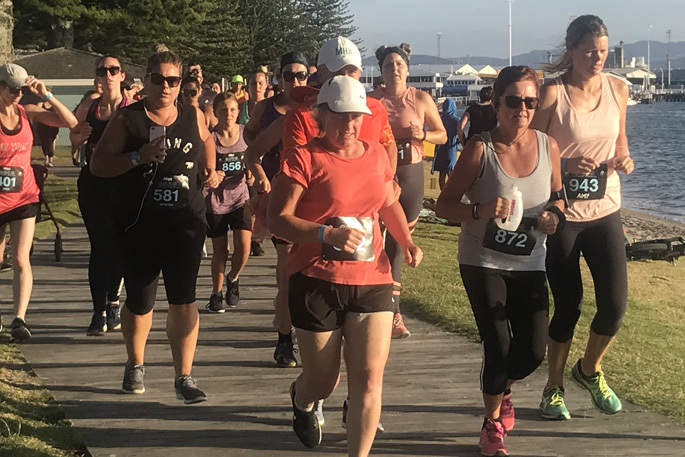 Over 1200 runners and walkers from around New Zealand took on the Hopt Soda We Run the Night in Mount Maunganui. The winners of the 21km races were men’s race winner Steve Darby, who won with a time of 01:27:51, and women’s race winner Sonia McAllister who won her race with a time of 01:40:05. Steve says it was surprise to cross the finish line in first place. He says it turned out to be a great event and good training run for the events he has coming up. It was Sonia McAllister’s first time running in the 21km event, winning the women’s race nearly four seconds ahead of second place winner Savannah Love. Walkers on the Pilot Bay boardwalk. Image: Rosalie Liddle Crawford. Luke Williams came second place in the men’s 21km race with a time of 01:28:52, commenting that it was a great event in a great location. 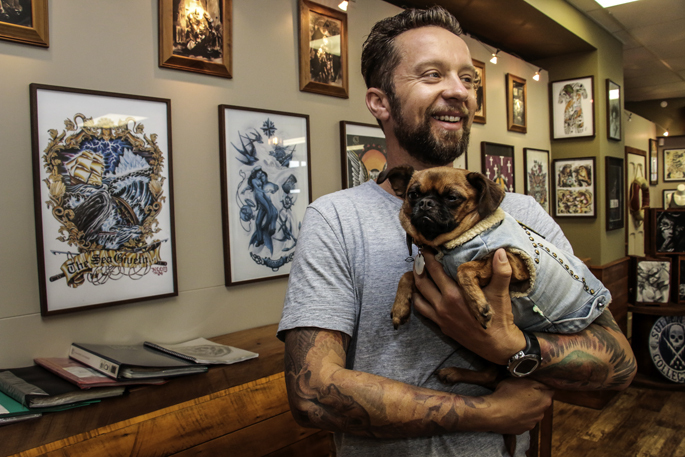 He says he had participated in the Half Iron Man in Tauranga on the previous weekend, using the training from that to get him through the 21km Mount event. Established in 2017, the event is held as the sun goes down over the Kaimai Range across the Tauranga harbour. The distances include a run or walk ​21km half marathon, 11km, 5.5km and a 2.5km kids and pram dash. The moon was rising full in the sky and the sun was setting as participants in the event set off from the Mount Mainstreet location on their walking and running races. Over 1200 competitors, as individuals, teams, or with prams, ran or walked various distances in the event. Participants were encouraged to dress up, and involve friends and family from children to 60-plus in the fun running festival. 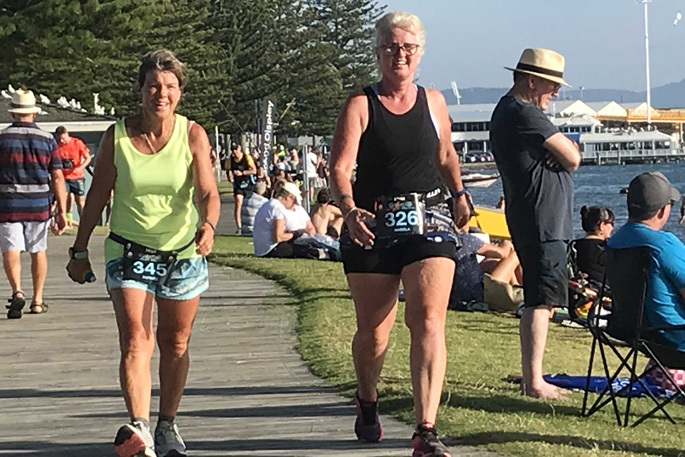 Hundreds of people watching the Celebrity Solstice leave harbour from Pilot Bay at 6pm found themselves suddenly engulfed in a sea of runners and walkers taking to the boardwalk. Near Grace Ave a group of spectators cheered the competitors on, accompanied by ‘Chariots of Fire’ played on the piano. 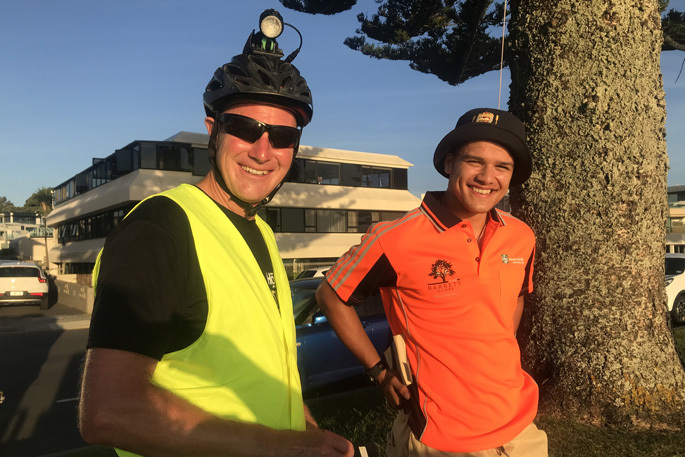 Maunganui Road from Pacific Avenue to Prince Avenue was closed from 1pm on Saturday afternoon until 1am Sunday morning as participants took over Mount Maunganui. Prince Avenue, Adams Avenue and Maunganui Road from Grace Avenue to Pacific Avenue was also closed from 4pm-11pm on Saturday. The event started and finished at Te Papa o Ngā Manu Porotakataka, attracting spectators and creating a family environment with a Barrett Homes kids’ chill out zone, live music, and an opportunity to sample HOPT soda. Tauranga Samba drummers performed in the Main Street and DJs played from 3pm. 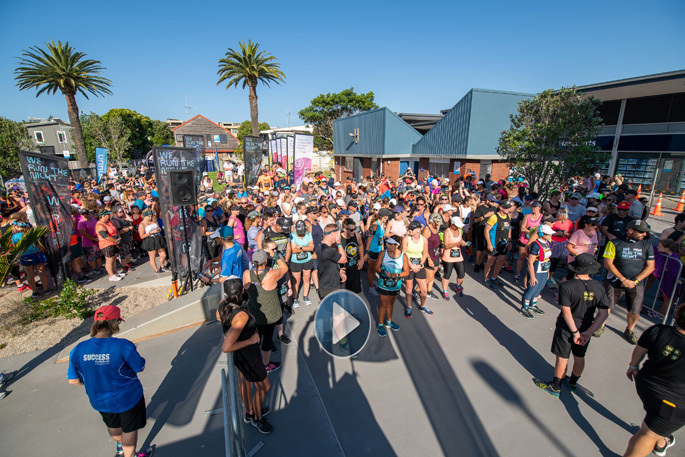 The kids and prams run and walk left at 5pm with their course covering a route along Pilot Bay to Adams Ave, around to Mount Main beach and back through Mt Drury Park to the finish line. At 6pm all the walkers set off. The 21km runners started at 7pm, with the 11km runners starting at 7.10pm and the 5.5km runners leaving at 7.20pm. The cut off time for starting a new lap was 9pm. The 5.5km, 11km and 21km courses followed the same route as the kids and prams, with the addition of going around the Mauao base track. The 5.5km was one lap of that course, the 11km two laps and the 21km four laps. Water stations were set up at each end of the Mauao base track. Event director Tim Farmer says the community groups that got involved with the event created a great festival feel. Winner of the men’s 21km race Steve Darby will be running in his next event - the Buller Gorge Marathon in February, before he takes on the London Marathon in April. Volunteers Graham Muggeridge and Rokko Lassey in Pilot Bay.